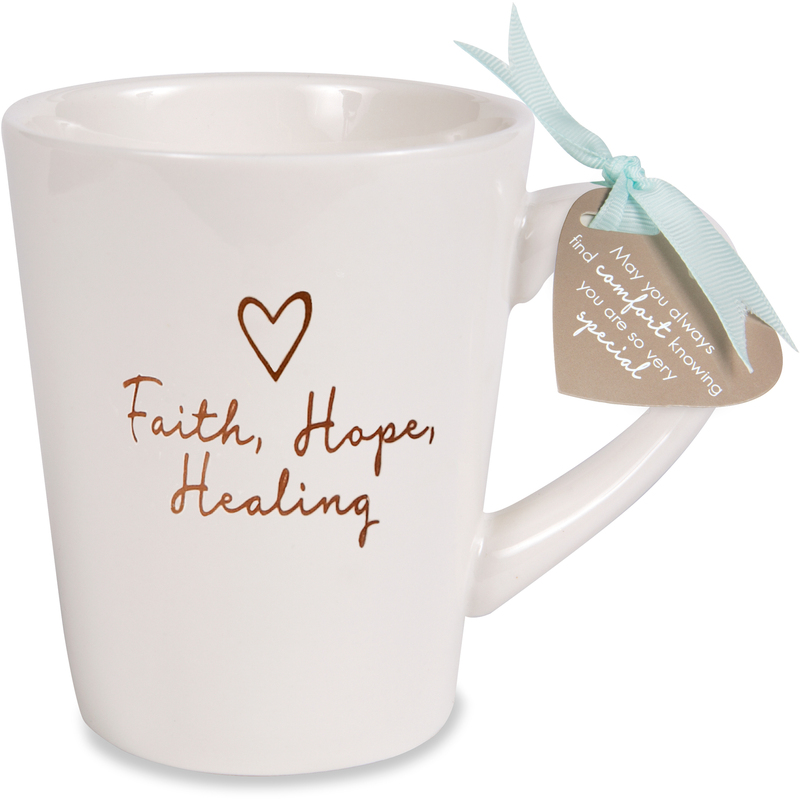 The Comfort Collection by Pavilion 15 oz stoneware coffee cups are a great gift for any coffee, tea or hot cocoa lover. Let all the special women in your life know how much they mean to you or how much you love them with these white and bronze decal mugs that match anyone's home or kitchen. Designed by our talented in-house team at Pavilion. A special heart shaped tag tied on with blue ribbon is included with a special sentiment matching our Comfort Blanket collection. Your loved one fighting a battle will find comfort in knowing how very special she is to you.